SBA * Consulting will assist you in determining your top-level needs for your new accounting system. We advise you on the benefits and disadvantages of your current computer architecture structure. This enables to you create a realistic and comprehensive needs assessment. 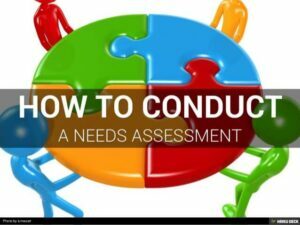 A needs assessment is a paramount first step, not searching for a particular system. If you don’t know what you need, how will you pick the right solution? A needs assessment starts with a business plan, business process mapping and a 360° GAP Analysis. Our services are always from the CFO point of view! Strategic, Operational, Systemic and Accounting/Financial assessment to answer the questions of whether you are using best practices and what needs exist at your company to better capture data to assist in managing and growing your company. We will facilitate the research into, assist with the selection of possible accounting systems. Locate and gauge vendors/integrators of those systems that best met or meet your needs assessment. We will always take into account any budgetary requirements of the client. Facilitate a detailed analysis of your business from the Strategic, Operational, Systemic and Accounting/Financial points of view. SBA * Consulting assist in finding and them works with your System Integrator to make sure the system will provide prior the information you need. We want to maximize ROI and reduce TCO. We do this by making sure the implementation process takes into account all KPI’s, metrics and other systemic or procedural issues. From the Chief Financial Officer’s point of view, make sure the implementation is a smooth, comprehensive and accurate. We monitor staff training. We take note of issues and correct them. All systems work and the business is able to take advantage of the new system(s) implemented. Ever have an Embezzlement Susceptibility Probe?